Upper Mustang Trekking guide Package & Itinerary (Freelance)| Subindra.com: Nepal Trekking Guide, independent Freelance travel and trekking guide service in Nepal. The Upper Mustang trek is considered a moderate trek that does have its challenges in certain areas and suitable for average people but well fit. If you are moderately fit and have a sense of adventure and culture you will enjoy this trek. The program is designed to acclimatize you gradually and not to experience high altitude sickness. Mustang is an ancient Himalayan Kingdom which lies in the northern central part of Nepal and at the top of the Kaligandaki River. Upper Mustang consists of two distinct regions: the southern part and the northern where the languages, culture and traditions are alike to those of the Tibetan people. This area is considered as one of the most interesting and picturesque places in Nepal. This area is considered as one of the most interesting and picturesque places in Nepal. The whole area has an isolated and mystical feel to it, enchanting and inspiring visitors to this region. A vast expanse of rock; wilderness of huge proportions, Mustang opened only for selected organized groups since 1992. Mustang offers a truly exceptional opportunity to explore an area rich in ancient tradition and mythology & is an almost treeless, barren landscape with countryside’s similar to the Tibetan plateau. In lower Mustang the hills tend to be great red fluted cliffs, while upper Mustang offers an endless expanse of yellow and gray rolling hills, eroding the wind which is highly prevalent in this area. The people here are of Tibetan origin and their way of life and spoken language reflect this ancestral lineage. The trek takes you to the walled town of Lo- Manthang, a visually extraordinary place, home of the present Mustang's King and full of beautiful temples and Gompas. Kathmandu is the cultural heart of Nepal and has been a popular destination for tourists ever since Nepal allowed visitors into its borders. The city presents a wonderful combination of Hinduism, Tibetan Buddhism and Western influence in the Valley. Patan and Bhaktapur, its two prime neighboring cities bear immense historical, cultural and religious significances. There will be a half day guided tour to the famous and biggest Hindu shrine of Pashupatinath, the largest Buddhist stupa in Nepal Boudhanath, the 15th century Palace of 55 windows and Swoyambhunath. As per the flight schedule, we transfer to the domestic airport for our flight to Pokhara. This half hour scenic flight brings us to the stunning Pokhara Valley. On arrival at Pokhara, we transfer to your hotel. Pokhara is the second largest township in Nepal and enjoys a beautiful setting beside the large lake of Phewa, Rupa and Begnas. From here we get splendid views of Mt. Machhapuchare, the famous fishtail peak. We will have time in the late afternoon or evening to have a look around the town & stroll down lakeside with its scintillating restaurants & curio shops selling some of the best handicraft items in the world. Hereabouts, it’s pretty hot and tropical in character. But it could be suitable for you, especially if you hail from a country that’s relatively cold throughout the year i.e. Denmark, England or Alaska. Overnight in the city of lakes. From Jomsom, the trail leads on to the Kaligandaki plains in the rainy season. The road diverts to the right bank of the river plain, & the walk is pleasant with few ups and downs most of the way to a place called Ekali Bhatti (lonely inn) where there are three or four tea-houses at present. Earlier, it used to be the only tea-house in the area when it got its namesake, ‘Eklai–Bhatti’. From here, the path splits into two ways, the one higher up leads to Muktinath & the other route takes us to upper Mustang and Tibet via Kagbeni. Our trail leads past Eklai-bhatti towards North West, & the walking gets much easier on a gradual winding route as the road widens & you walk further on the river bed towards the windswept village of Kagbeni for the overnight. The famous film ‘Caravan’ was shot in this area some years ago. On the trek from Kagbeni to Chele we pass the beautiful village of Tangbe, with its picturesque traditional houses and fields of barley, buckwheat and apple orchards. We enjoy views of the magnificent Nilgiri peak and cross several ridges. After Chhusang village, we cross a stream and leave the Kaligandaki valley behind and reach the village of Chele. Following a trail on the arid Tibet like landscape, we climb above the village of Samar to a ridge and then descend into a large gorge past a Chorten before entering another valley filled with juniper trees. We then cross a stream and after climbing to a pass, we descend along a ridge to Shyangmochen, a tiny settlement with a few tea shops. Nearby is Rangbyung, a cave containing stalagmites in the form of a Chorten and one of the holiest places in Mustang. The trail climbs gently from Shyangmochen and we enter another huge valley before descending to Geling, with its extensive fields of barley. Like in all settlements of Mustang, the white and ochre painted houses in Geling are constructed using mud and stones. The roofs are made of twigs, straw and a mixture of mud and pebbles. Trek from Geling to Ghami (3490m.) via Ghami La (3520m.) this takes about five hours. From Geling the trail climbs gently through fields, up the center of the valley, passing above the settlement of Tama Gun and an imposing chorten. You then begin a taxing climb across the head of the valley to the Nyi La [3840m]. The descent from the pass is quite gentle and about half an hour further, we come to a trail junction; the right trail is the direct route to Charang, the left trail leads to Ghami. Ghami is a large white-washed village sheltered by overhanging cliffs. Stay overnight at camp in Ghami. Trek from Ghami to Tsarang (3600m) takes about five hours. Today's walk is through perhaps the driest part of Mustang, and much of your energy will be spent negotiating loose, dry soil. However, the magnificent views of the countryside, from the gentle contours of the north to the rugged mountains in the east and west, are a source of inspiration. Finally, you come to Charang, a large spread-out village at the top of the Charang Chu canyon. At the eastern end of the village are a huge dzong [fortress] and a red gompa which houses an excellent collection of statues and thangkas. Stay overnight at camp in Tsarang. Trek from Tsarang to Lo-Manthang [Mustang] (3730m). This takes about three hours. You will spend part of the morning exploring the interesting village of Charang and its large monastery, before setting out for Lo Manthang. You climb gently above the valley to a large isolated chorten that marks the boundary between Charang and Lo. The trail then broadens and eventually you get your first view of the walled city of Lo Manthang. The city has only one entrance so you circumambulate the wall to the gate on the north east corner. Stay overnight at camp in Lo-Manthang. Today, you are free to explore the fascinating city of Lo Manthang. The city contains about 150 houses, as well as residences for its many lamas. There are four major temples within the city and one of these, Champa Lhakang, contains a huge clay statue of Buddha as well as elaborates mandalas painted on the walls. Lo Manthang is also home to Mustang's former King Jigme Dorjee Palbar Bista who lost his royal title in 2008 after Nepal became a republic. The king's palace is an imposing building in the center of the city and is occupied by the ex-King. He is still respected by the people. Today also marks the commencement of the Tiji Festival. Monks don colorful costumes and masks representing divine beings and perform ritual dances. Sit out with the locals dressed in their traditional finery to witness this sacred ritual dance. The setting is most spectacular. Trek from Lo-Manthang to Tsarang (36200 m.) this takes about five hours. Today's walk is through perhaps the driest part of Mustang, and much of your energy will be spent negotiating loose, dry soil. However, the magnificent views of the countryside, from the gentle contours of the north to the rugged mountains in the east and west, are a source of inspiration. Finally, you come to Charang, a large spread-out village at the top of the Charang Chu canyon. At the eastern end of the village are a huge dzong [fortress] and a red gompa which houses an excellent collection of statues and thangkas. Stay overnight at camp in Tsarang. Trek from Tsarang to Ghami (3490m.) via Ghami La (3520m.) this takes about five hours. From Tsarang the trail climbs gently through fields, up the center of the valley, passing above the settlement of Tama Gun and an imposing chorten. You then begin a taxing climb across the head of the valley to the Nyi La [3840m]. The descent from the pass is quite gentle and about half an hour further, we come to a trail junction; the right trail is the direct route to Charang, the left trail leads to Ghami. Ghami is a large white-washed village sheltered by overhanging cliffs. Stay overnight at camp in Ghami. Trek from Ghami to Samar takes about six hours. Leaving Ghami you begin to follow a narrow winding path until you reach Geling crossing a small stream. On the way you can enjoy good views of the Nilgiri Mountains, deserted landscapes, Tibetan style villages, farming terraces and natural vegetation. From Geling the path turns broader until Samar, passing deserted landscapes, natural vegetation, plateau, Tibetan style houses, chortens, Mani walls, prayer flags and observing the distinct culture of the local inhabitants. Samar is a small village with terraces, Tibetan style houses, Mani walls, monastery, and prayer flags. Here you find people following a Tibetan life style and tradition. Stay overnight in Samar. Trek from Samar to Kagbeni takes about seven hours. Following a descending path you reach Chuksang, crossing a suspension bridge over Kali Gandaki. Now you walk along the bank of Kali Gandaki with views of natural vegetation, apple orchards and where there is also a chance to find fossils. Stay overnight at camp in Kagbeni. Trek from Kagbeni to Jomsom (2713m) takes about three hours. Your trail passes on the bank of the Kali Gandaki passing through Eklebhatti. The trail is windy in the early afternoon. The river flows through a broader course. 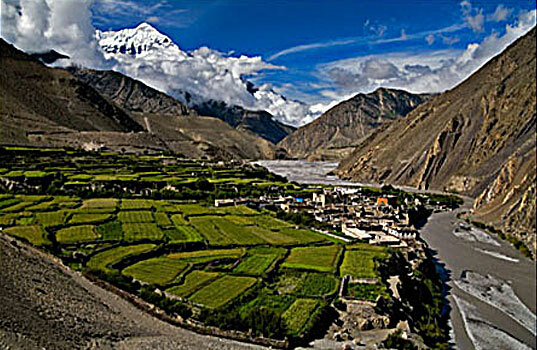 Jomsom is the headquarters of Mustang and it is split into two towns. Between these two towns passes the Kali Gandaki River. There is access to the internet and banking facilities found here. From Jomsom, you can enjoy the magnificent views of Nilgiri and Tilicho peak. Stay overnight at hotel in Jomsom. Fly from Jomsom to Pokhara takes about 35 minutes. The flights are available during the morning time. A strong breeze blows during the afternoon and frequent changes in weather patterns prevent the flight from landing and take off in the afternoon. During flights in the morning, the sky looks very clear which gives you the chance to enjoy splendid views of different mountain peaks. Stay overnight at hotel in Pokhara. This is your day in Pokhara – the city of lakes. 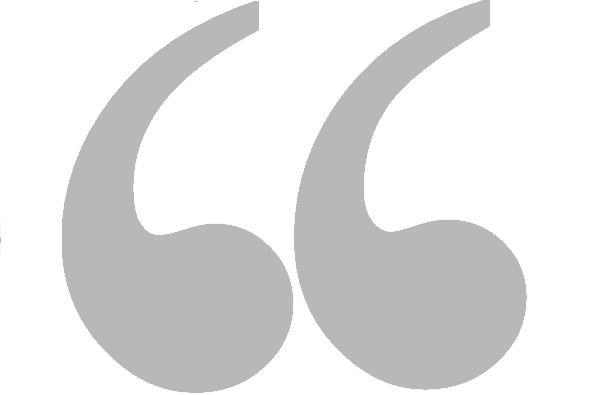 You are free to do whatever you would like to do. Just chill out near the lake after a boat ride; or bask in the sunshine & read your favorite novel. In the evening you can do some shopping & send some pretty postcards home. After dinner to bed in your hotel. Day 18 Drive by bus/car or fly back to Kathmandu. It would be to drive back to Kathmandu through a lush green highway with the cool mountain breeze rushing through your hair. Touch Kathmandu, refresh & relax in the environs of your hotel. Overnight in your hotel. This day is free for you. Just relax around & take a stroll down Thamel’s exciting streets. This is a world famous hub for tourists throughout the world. If you haven’t done any shopping, do so; & you can also do your packing so you don’t have to rush to the airport in haste or waste. Overnight at your hotel.